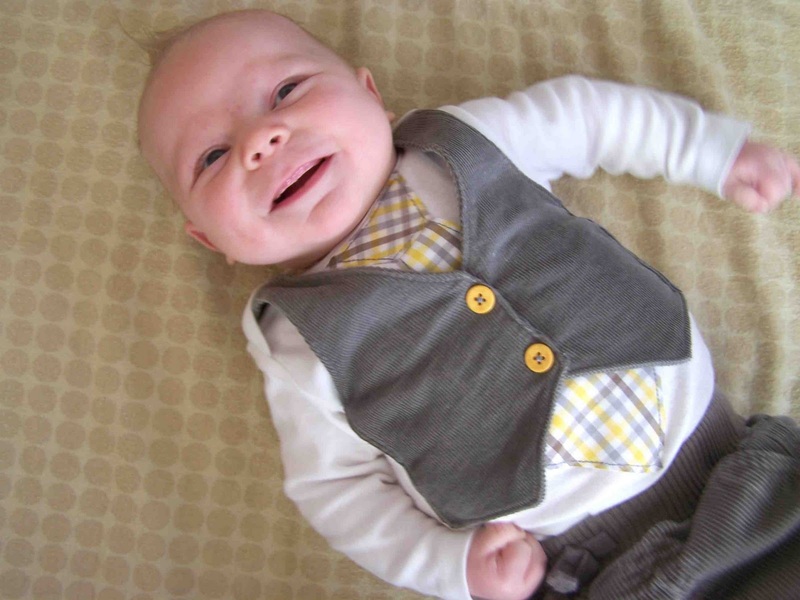 In the summer I made some tie and vest onesies for my nephews to wear at my brother's wedding reception. I made a sample onesie to try out the pattern and ensure that the sizing was correct, lucky Miles gets to wear it now. I thought that I'd show you a photo of the Tie and Vest Onesie on little Miles, he sure looked sharp. I have a tutorial to share with you later this week, and a new tip and trick that I can't wait to tell you about. Ack this cuteness if overwhelming me! So so precious. Do you have a tutorial for this yet? ?